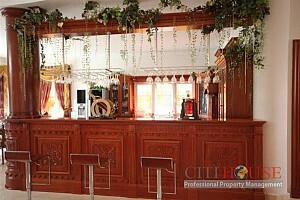 Nice Villa for rent is includes 4 bedrooms, 1 living room and 4 bathrooms with area of 200 sqm in use. 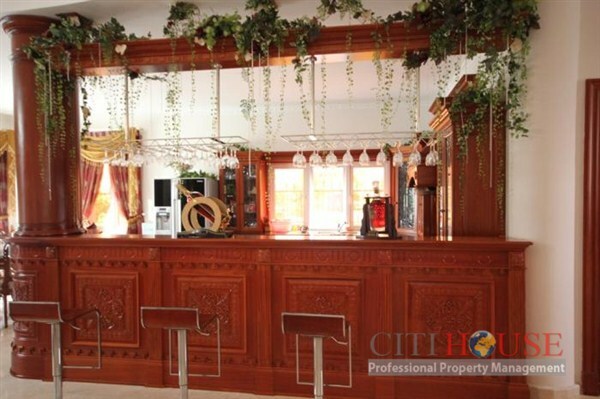 Designed in Asian style, with luxury interior, nice decoration and fully furnished, Villa for rent gives you and your family warm atmosphere. 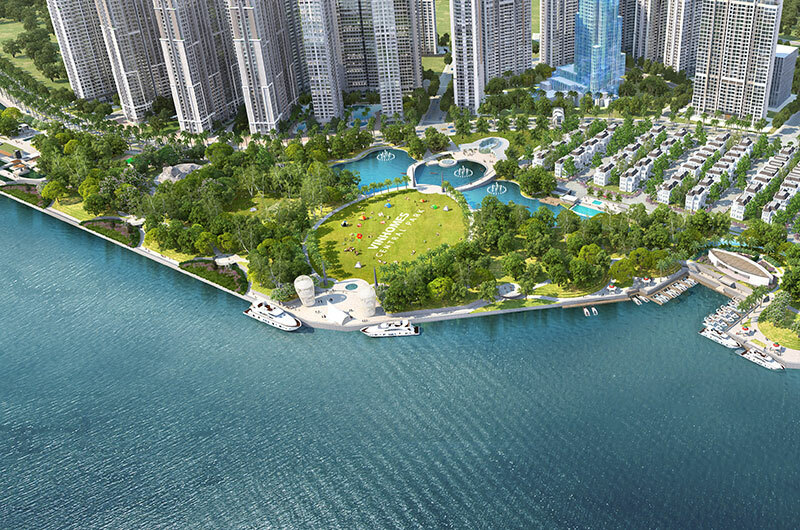 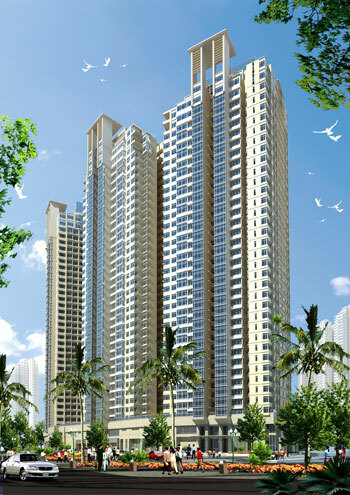 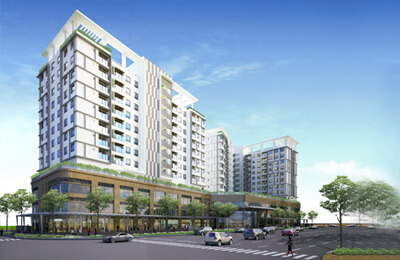 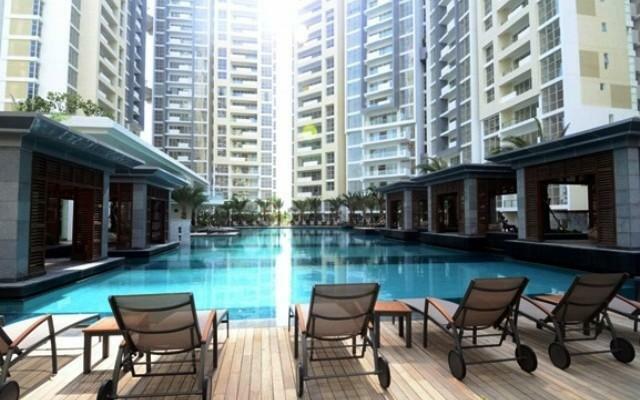 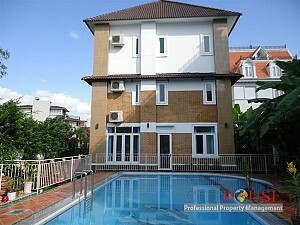 Outside, There have a spacious garden and a swimming pool. 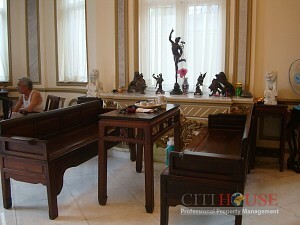 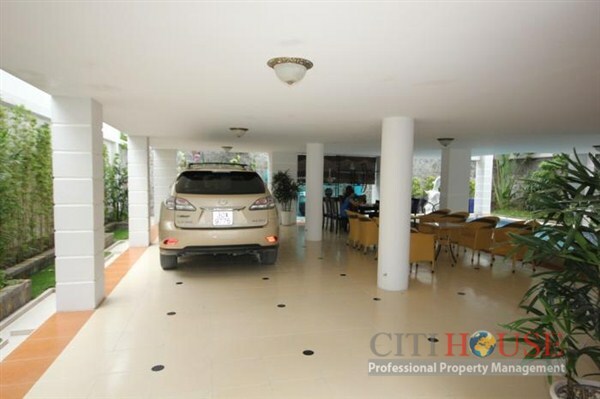 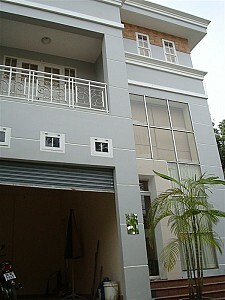 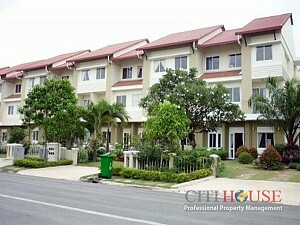 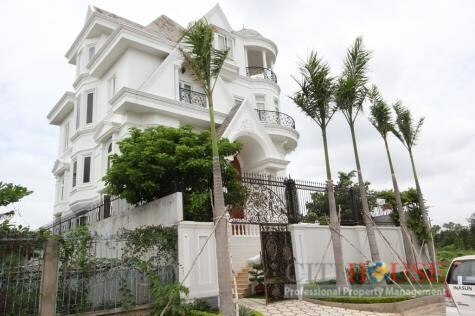 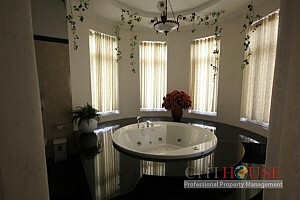 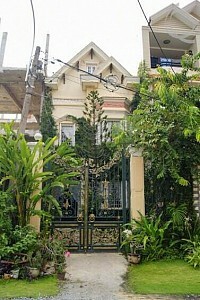 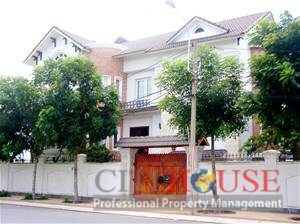 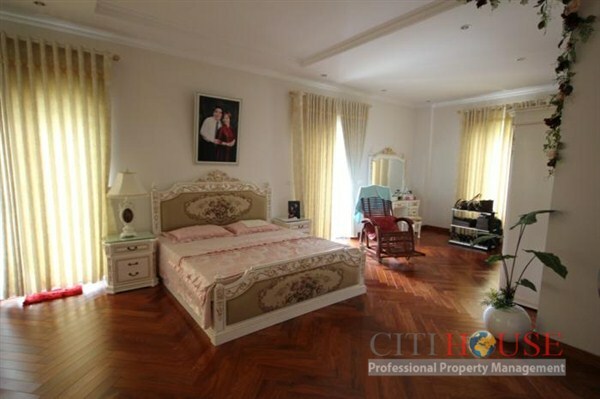 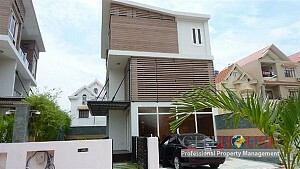 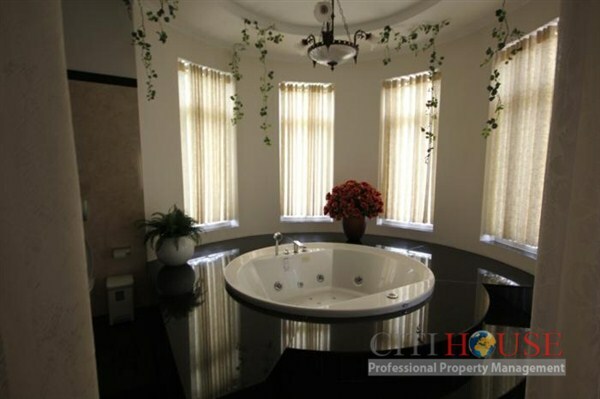 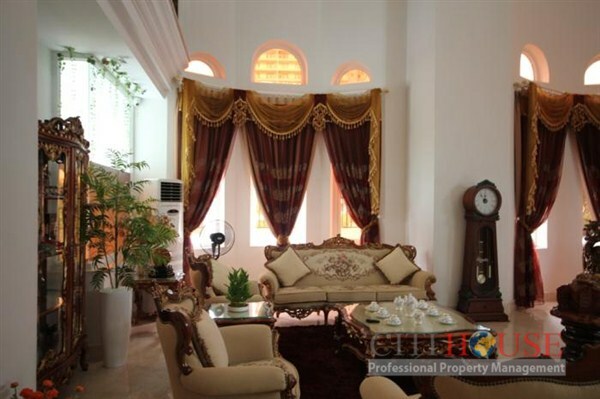 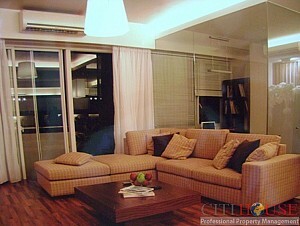 Villa for rent Nguyen Van Huong nestled on a quiet street, high security and fresh environment. 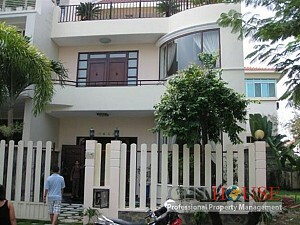 Contact us now for more information about This Villa!